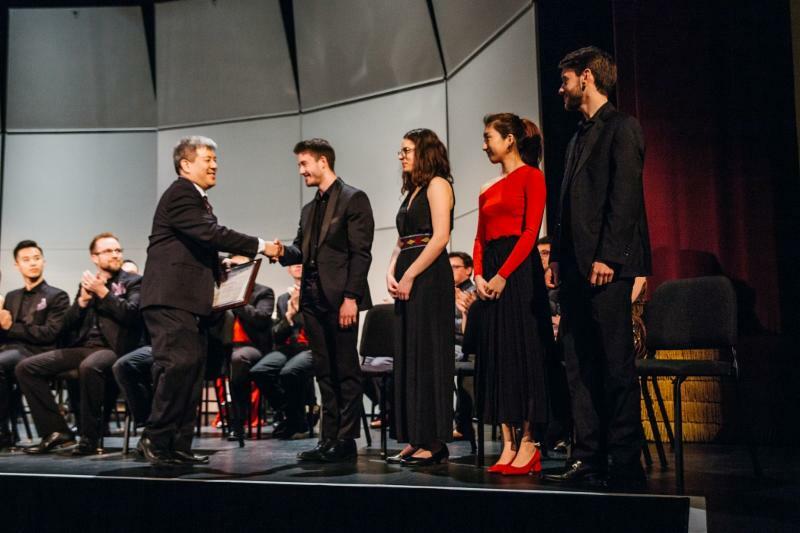 TWO Laureates from the Jacobs School of Music of Indiana University! 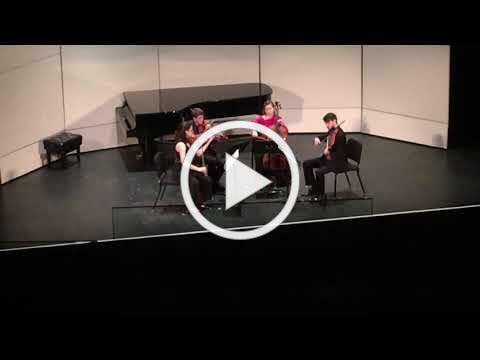 It is hard to believe it was only a week ago we celebrated the 9th Plowman Chamber Music Competition & Festival.  WHAT an exciting weekend we had! 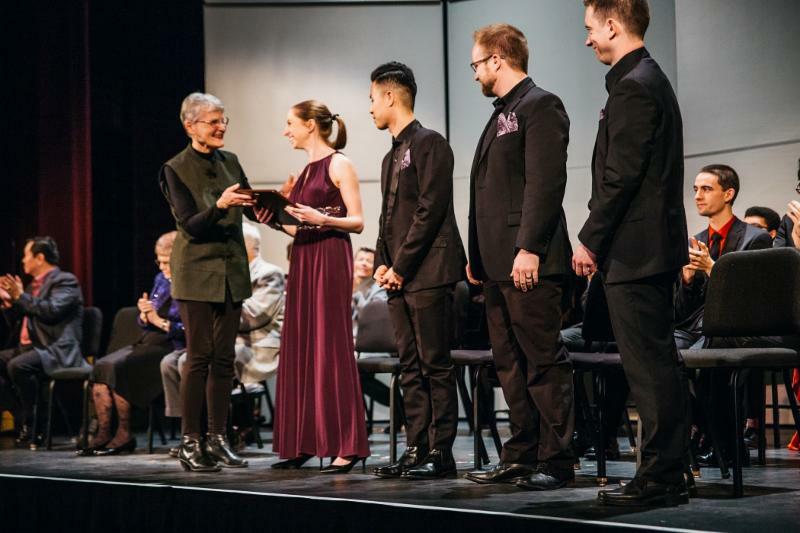 One could say that this year's Semi-Finals were the true Finals; all 15 semi-finalist ensembles delivered truly brilliant performances one after the other - deciding the top five Finalists has never been so difficult. Congratulations to ALL the participants! 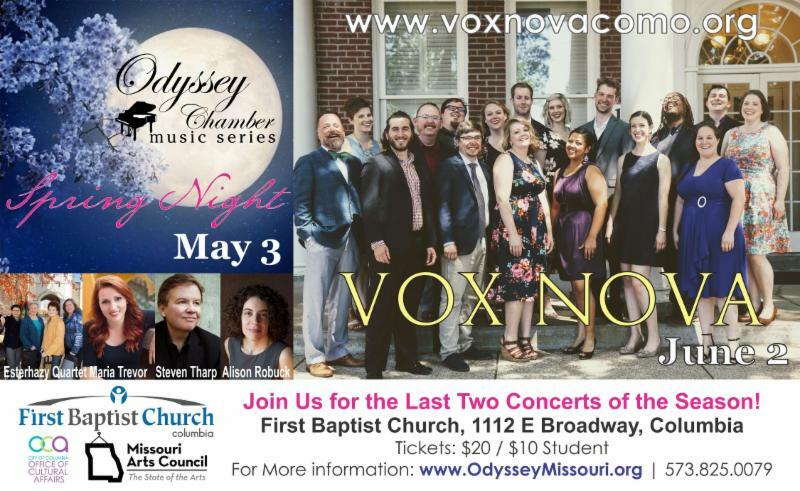 Grand Prize Winner will also be first offered the $2000 Odyssey Award to appear in Spring 2020 as part of the Odyssey Chamber Music Series' 16th Season. Complete list of live Plowman participants are listed below. 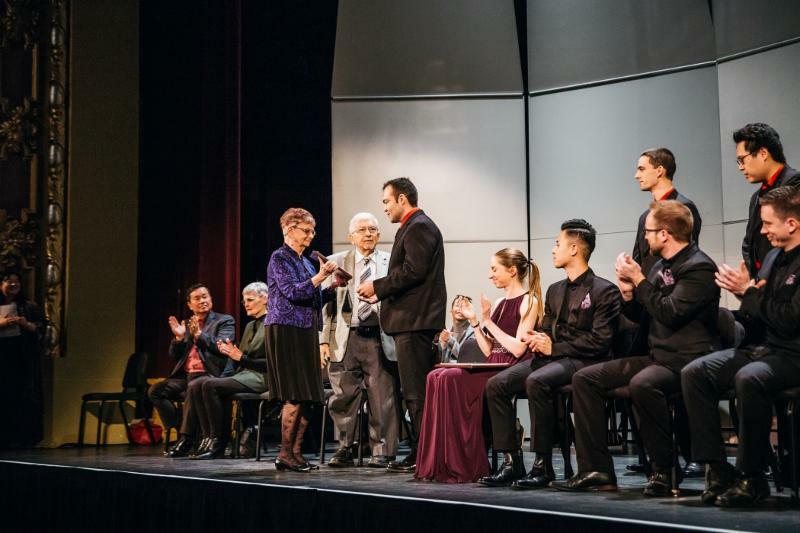 Our sincere thanks to the 2019 Judges, Dale Clevenger (horn), Lara St. John (violin) and Dr. Wei-Yi Yang (piano). 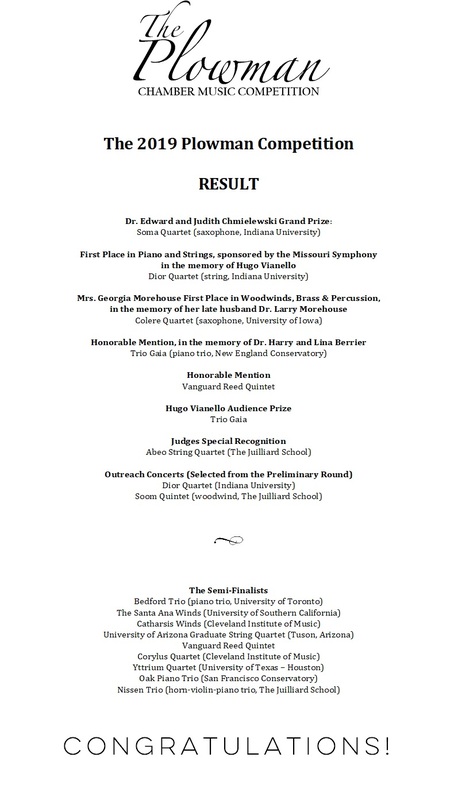 Our Preliminary Judges were Dr. Eli Lara (cello) and Dr. Wes Warnoff (clarinet). We would also like to recognize the coaches, instructors and mentors to all the applicants. The level was incredibly high; even though we were (thankfully) not voting members, we enjoyed having the privilege of hearing all the auditions. A music festival of this size can only operate with the help of our dedicated and generous volunteers. If it takes a village to raise a child, it takes a nation to educate all of us the quality and its importance. 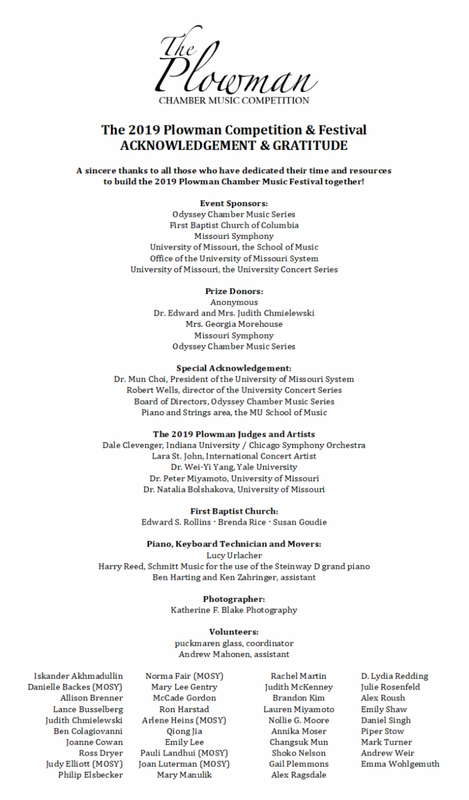 Many thanks to our sponsoring organizations - the Odyssey Board , First Baptist Church of Columbia , University of Missouri School of Music , Missouri Symphony and the Office of the President of the University of Missouri System - and the government agencies, the Missouri Arts Council and Office of Cultural Affairs , as well as the people in the wonderful City of Columbia and beyond! 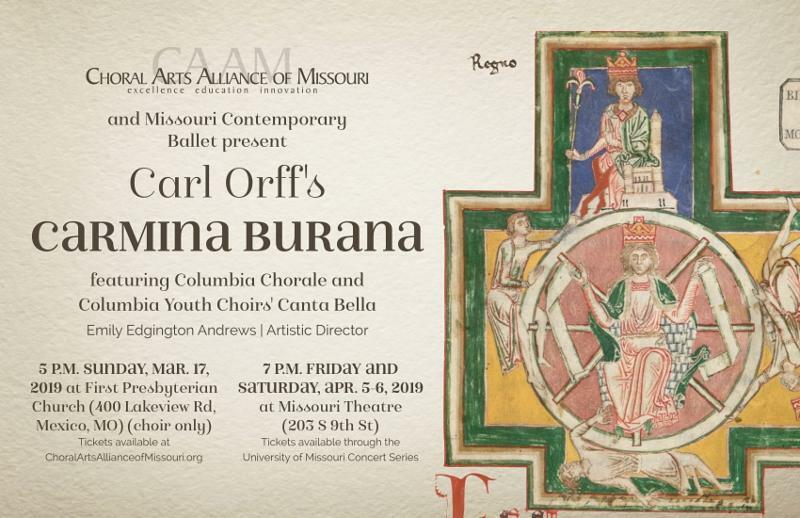 Thank you for making all the visiting musicians welcome and feel at home. We are now gearing towards our 10th edition: Mark your calendar for the next Plowman tentative dates, March 27 & 28, 2021. 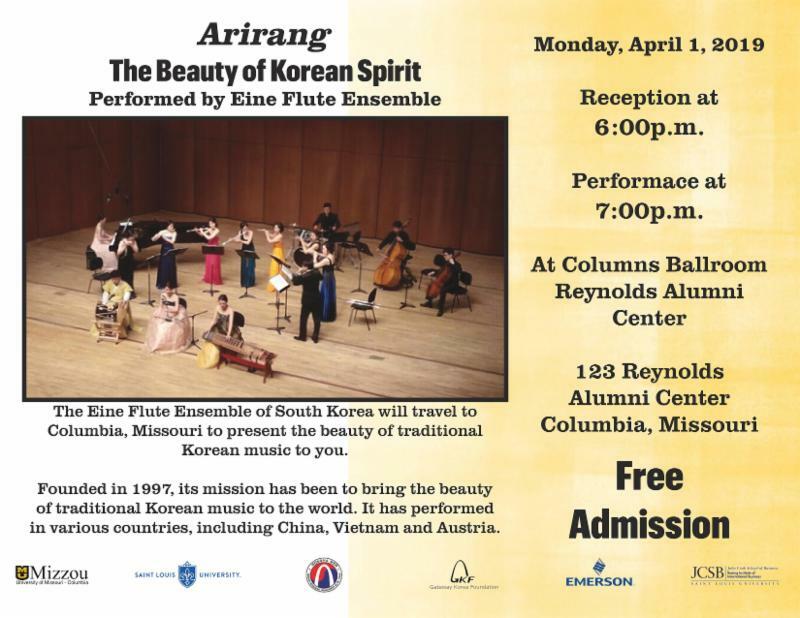 The MU Asian Affairs Center presents "The Beauty of Korean Spirit" performed by the Eine Flute Ensemble on April 1, Monday at 7pm / Reception 6pm - Columns Ballroom, Reynolds Alumni Center. ...AND, make-up date for Kids@Heart "Carnival of the Animals" is May 25!